Rollerblade Macroblade 100 Men orange - the men's Macroblade 100 Skate is equipped with 4x 100mm Supreme wheels with 85a hardness, as well as a SG-9 ball bearing. 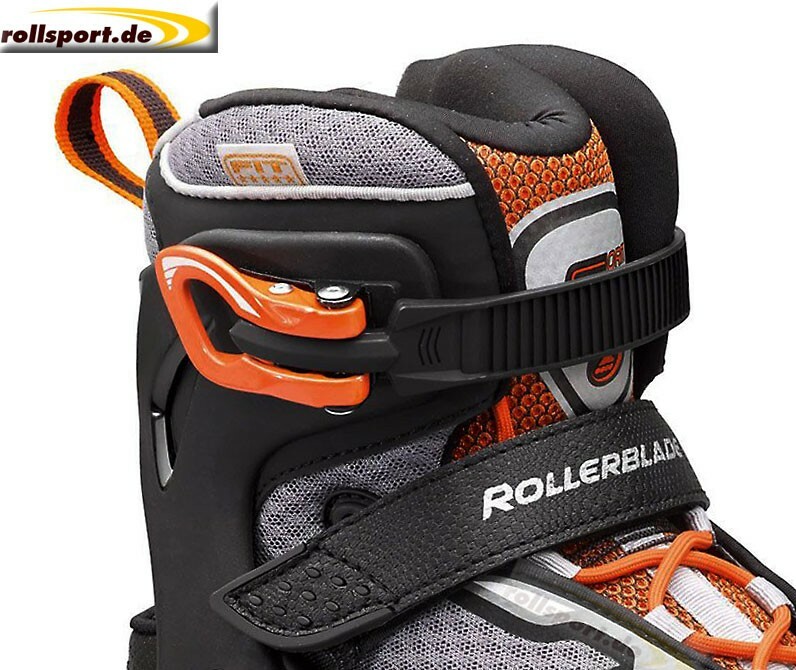 The Macroblade 100 M is the famous top model from Rollerblade. The Macroblade 100 has a very comfortable inner shoe as well as a powerful rail with 4x 100mm rollers with 85a hardness and ILQ 9 ball bearings. 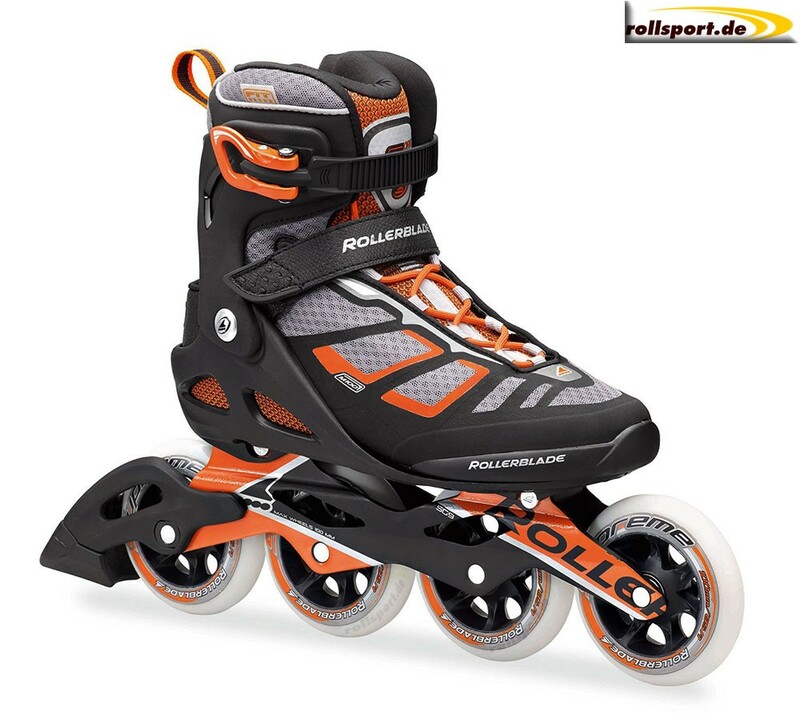 A 45 ° velcro strap, a ratchet strap, as well as a normal lacing, adorn these fitness skates from Rollerblade.